Not that long ago, Snapchat was an app with only one purpose — to send and receive self-destructing picture messages. The app has clearly grown since, adding many features that both adhere to its original function as well as ignore it. One of these new features is Context Cards. You may have heard about them, but what exactly are they? 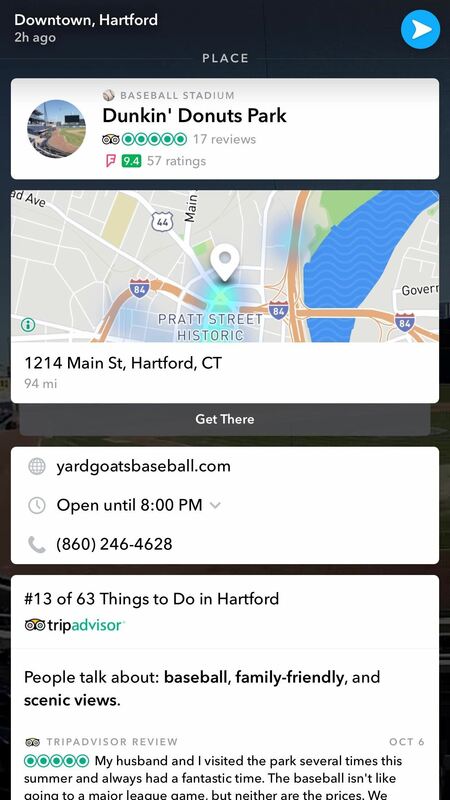 Context cards are attached to snaps and contain information about their location, including nearby restaurants, shops, and other snaps in the area. You'll find them in personal messages as well as in stories, even the ones you can view on Snap Map. But how do you use them? Read on to find out, and to start using them yourself! Viewing a Context Card is simple. Just open a snap, either from a friend, in Stories, or on Snap Map. If a Context Card is available on that snap, you will see "More" on the bottom of the snap. Swipe up from here, and you will reveal the Context Card. Scroll through it to see what's attached. You might find nearby locations of interest, such as parks, businesses, museums, and reviews, as well as additional stories in that area. You won't find Context Cards on every snap, however, at least not yet. Context Cards seem to only show up on snaps that are location-tagged, which makes sense. However, even if you tag your photo with a customized geofilter, you may not have Context Cards connected to your snap. 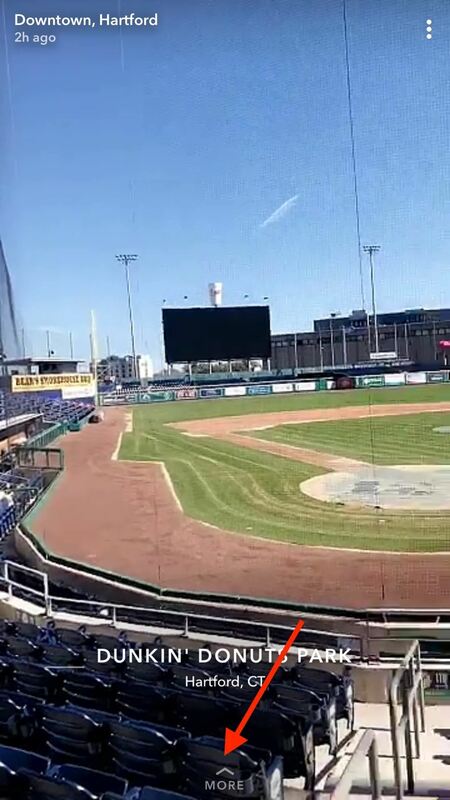 From our testing, it appears that when you send other people snaps, the only way to attach Context Cards is to tag your snap with the plain, white geofilter, as seen in the Dunkin' Donuts Park snap above. That geofilter will place Context Cards on your snap. 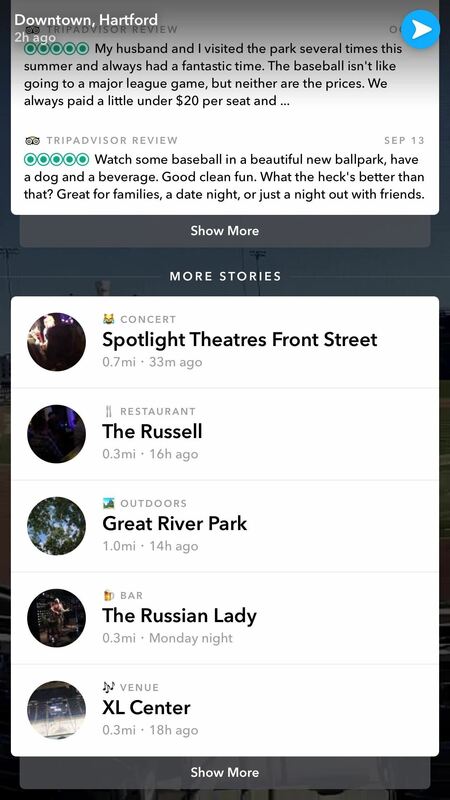 The exception to this rule is if your snap is uploaded to Snap Map — you'll find snaps with and without geofilters of all kinds on Snap Map, but they will all have Context Cards, most likely because by uploading to Snap Map, you've already tagged your snap's location. Have you found anything new or cool from using Context Cards? Let us know in the comments below!